A recent email from Mike, reminded me how wonderful it is to have a family that can share your love of the great outdoors. Too many people are caught up in the trials of everyday life, to enjoy what nature has provided up. 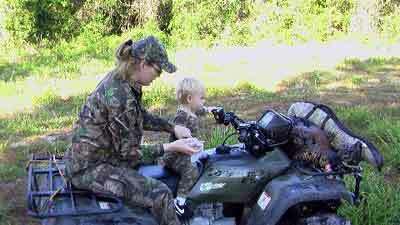 To many parents take the easy way and let their kids sit in front of a TV set playing video games rather then engaging them in Mother Nature and the natural environment that exists in Florida. 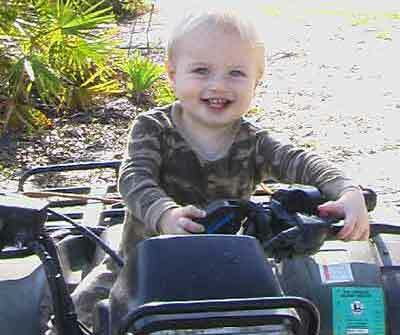 Recent surveys taken by the Florida Fish and Wildlife Conservation Commission, shows a decline in people participating in hunting and fishing, especially the new generation of kids. That's very unfortunate! 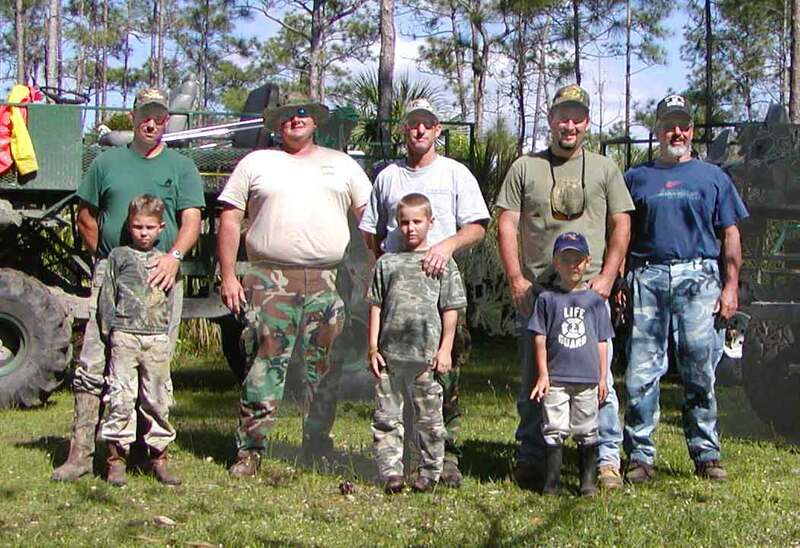 Many of the camp owners that I talk with, all talk about raising their kids in the Big Cypress Swamp. How their kids played, hung out and learned about nature with kids from other camps. Along with this fun, they also learned to be resourceful, how to overcome adversity and how to put food on the table, if need be. They also learned about fellowship, camaraderie and that a group of people using the strengths of each other, can accomplish more then they can individually. These are lessons and family values that stay with you through your life. I'm glad that Mike and his family, has chosen this path to good family values. Mike emailed me with the attached pictures and said " My son Cole, my wife and I had an awesome hunt and wonderful weekend. 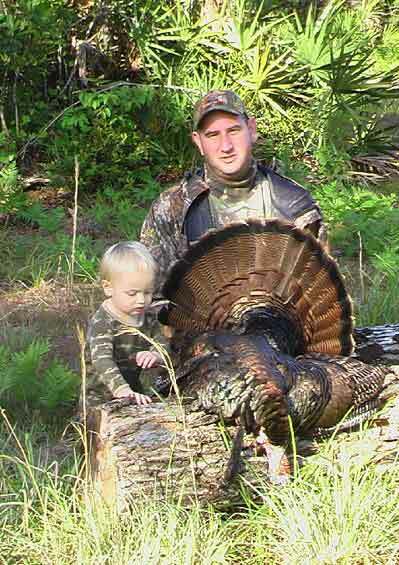 It was my sons second opportunity to be with me when I harvested a bird, he is only one and a half years old. 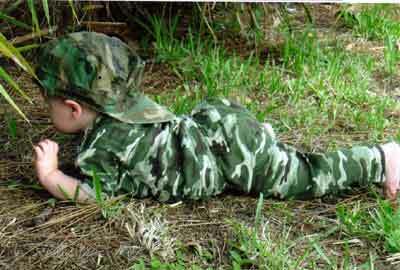 He got to hear the bird gobbling for next to an hour. 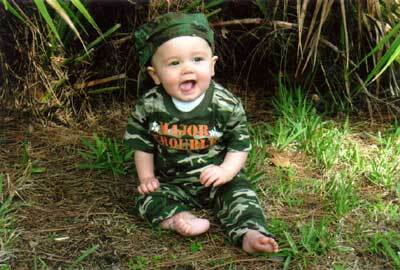 I take every opportunity I can to put my son in the outdoors."